A week of heavy snow on gale-force south westerlies rendered many approaches to the popular north and east facing crags fairly serious and covered the cliffs themselves in powder. 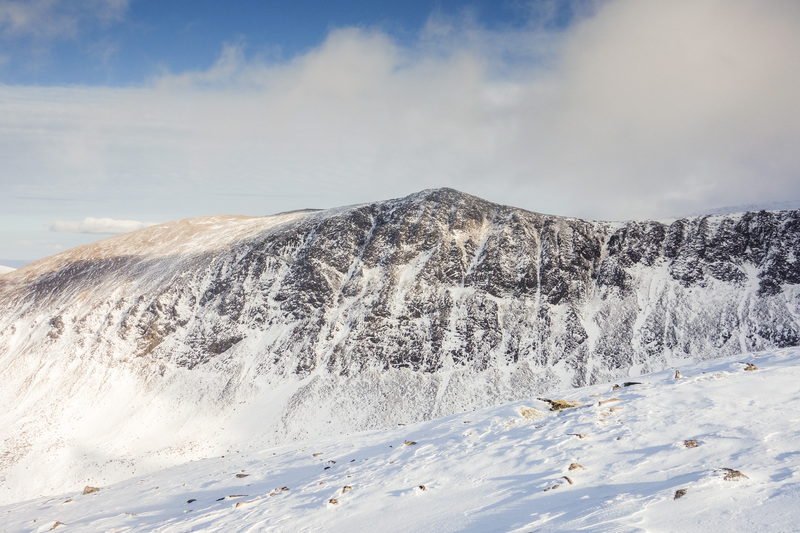 Wanting none of the peril and the arduous clearing required on those aspects, we opted for a day on the west facing Lurcher’s crag – a reliably icy venue in such conditions. This was my fourth visit to the crag and I hadn’t seen Window Gully (V, 5) looking as good as this before. 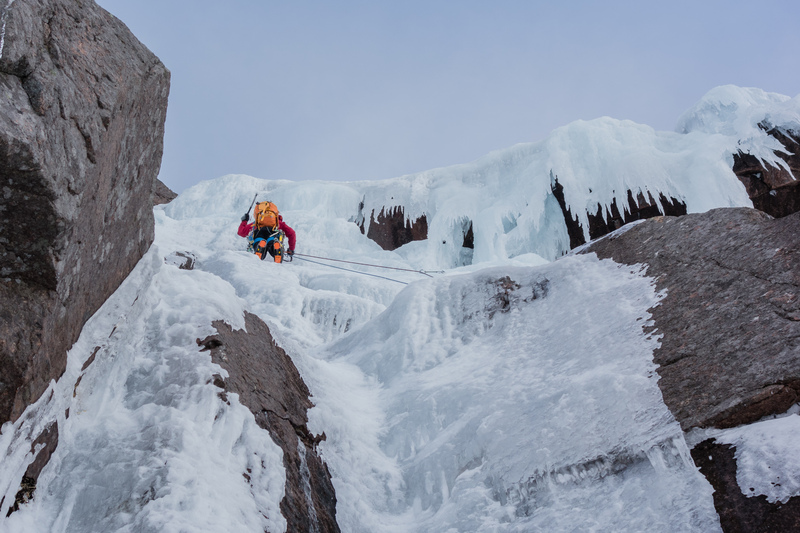 Being able to spy a complete-looking icefall in the upper reaches of K9 (IV, 4) sealed the deal and we set off for the impressive lower pitches. Joe’s first pitch involved thin climbing on soft ice – not difficult to climb but it was hard to protect, so Joe didn’t try. In a few minutes we were stood at the base of the crux second pitch. 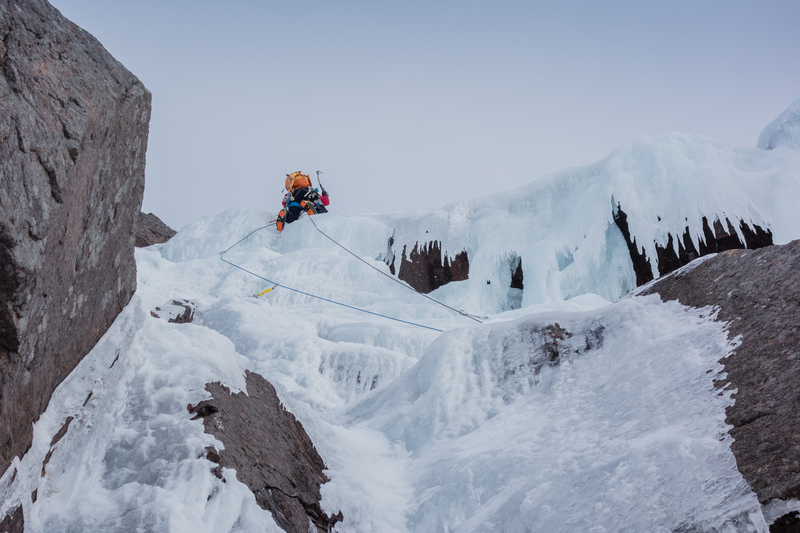 The direct start to this pitch was too thin and delaminated, so Andy traversed up and right then back left on increasingly hollow-sounding ice, until below the pillar drooling down from the lip of the roof. The ice improved here and with a couple of good screws Andy swiftly dispatched the final steepening. 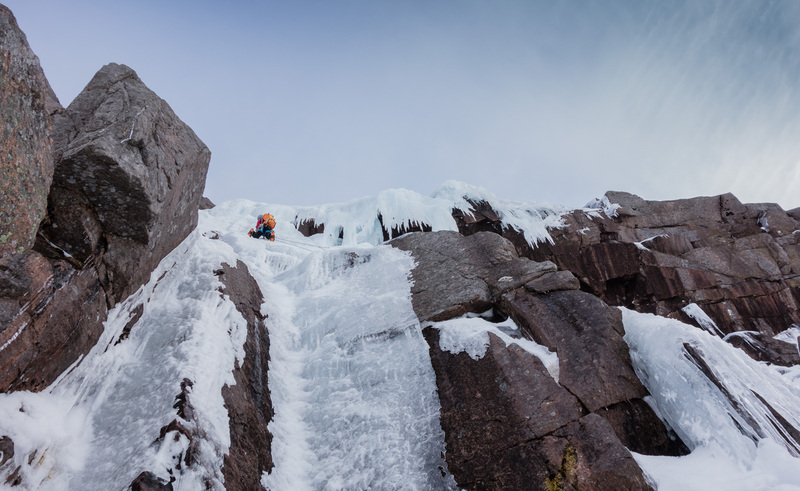 The next pitch involved a series of entertaining grooves and steps formed by huge bosses of ice cascading over short walls. Once through these I made for the upper icefall of K9, worried that it’s bleached appearance didn’t bode well. Joe was optimistic though and discovered the slightly more shaded right hand side to harbour reasonable ice. Rejoining the upper reaches of Window Gully we climbed through more bulges and ice-covered slabs, seeking out the most interesting climbing. 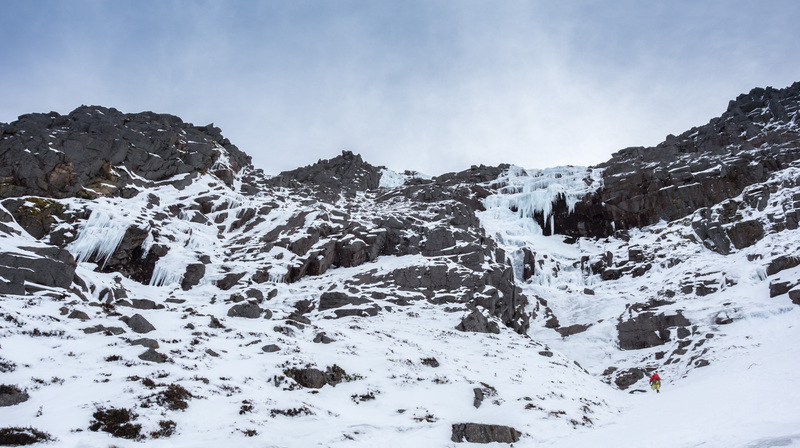 A rope-stretching pitch took us to a corner containing amazing wind-sculpted ice features, which led swiftly to easy ground and the top. 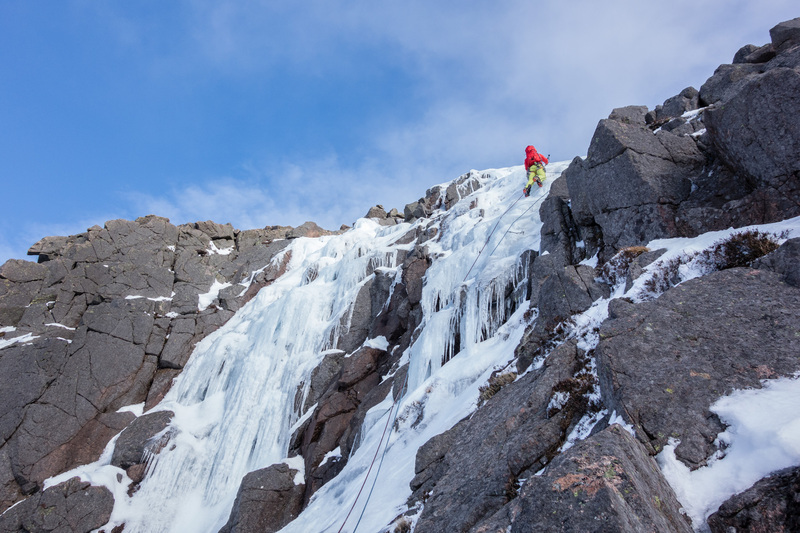 Eight pitches of ice in the sun with good mates is tough to beat, but with a thaw and refreeze on the cards and high pressure building, its about to get even better!